Not so much because we're awesome, but because it gives people something tangible; so they can remember a night that God did something amazing in their life. Well, you might ask, what’s that supposed to mean? It means this: We know, firsthand, about dealing with ego. No matter how much we try, pride can sneak in and have us think more of ourselves, and less of others. Pastors know the danger of pride, as well. Without constant checks and balances, their pride (like ours) can easily become a monster that silently wrecks their ministry. We’ve found 4 amazing hacks to crush our pride, and they can apply to pastors (or anyone) who want to keep the pride monster in check. Just be a volunteer. Don’t bring cameras or get social media involved, and don’t look for the next great sermon illustration. Just serve. It can be with missions, your own church, or a random organization where no one knows your name---you can just show up, get a name tag, and work. The idea is to remind yourself what it's like to follow. Being another worker reminds you that there are other people who can lead and make decisions. This will help you lead better, appreciate your volunteers more, and crush that pride monster. Many pastors I've met have a drive to be the best at what they do; and we at Team Impact, are no different. There's nothing intrinsically wrong with that drive. It's only when pride gets ahold of it that it become destructive. Consider this: Let’s say that you became the G.O.A.T. (Greatest of all time) at whatever you desire. For this example, let’s say its to be the best preacher/communicator in the world. Even if you were the very best communicator on the planet today, and even if a billion people knew you, there are still 6 billion people on Earth who have no idea who you are. To take it a step further, even if you were as widely known as the sun and the moon, when we step into eternity, no one will care who you are. Their focus will-- rightly-- be on God. 1) Even if people know you, you are not the point. 2) What you do matters to one single person, as much as it does to the masses. The message, not the messenger, is the big deal. Have someone on your team that loves you and can tell you no. Often, it’s easy to hide holes in a plan because you cast your vision so well. Have someone who can see through that; someone who can challenge you with objective critiques. The enemy of pride is a friend who can say, “it’s not a good idea” or “you’re just not right”. Of course, these critiques need to be legitimate, not just the bitter words of a naysayer. This can’t be just anyone, and it shouldn’t be everyone; it’s a special position. This person, after all, will laugh over coffee with you one second...and objectively give an opposite opinion the next. So choose wisely, but make sure you do choose. In this passage, Paul is calling for unity through humility. He first presents himself as an example, but says the greatest example is that of Christ. When it comes to humility, we often think that it means we should put ourselves down. The idea of humility is that we would treat other people as if they were a VIP, and we were their live in maid-- even though we aren’t. Jesus never spent time putting himself down, but He did spend a lot of time lifting others up. He did for them what they didn’t deserve, and he loved the un-loveables in a way society thought was scandalous. We ought to follow suit. Everything changes when you encounter someone you consider really “special”---athletes, celebrities, etc. Why not practice putting everyone we meet in that same light? Philippians 2 serves as an example of how we are to live as Christians, and especially as pastors/ministers...as one who is there to serve and to lift others up. Egos wreck leaders. 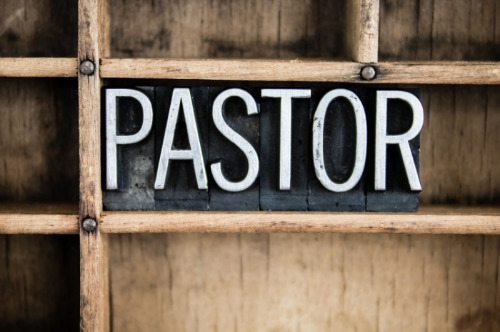 Pastors are certainly no exception. Thankfully, there are weapons to help crush pride. The four hacks above each cover a major area: one is practical, one philosophical, one relational, one theological. We should be fighting pride in every area, with all of our heart, mind, and strength. May we be leaders that never fail to be in awe of the ones we lead and the One who leads us.